Limited time offer for Home Cleaning in Houston -- 30% off your first booking! If you’re looking for professional home cleaning in Houston, Handy won’t let you down. Founded in 2012, Handy is on a mission to help the residents of Houston connect with the best house cleaning services available to take care of their homes and apartments, saving time and hassle. It's our first time working with Opeyemi. He's on time, very polite and professional. Thank you for making the drive even in the rainy day. Rene always does a great job with the house! He does a lot in a few hours and does a thorough cleaning! He has a great attitude on the job! This was my first booking with patience, I was away for the weekend but we were able to communicate effectively and she followed all instructions. she did a great job cleaning the entire house. I’ll definitely book her again. Elizabeth was very professional, polite and efficient. I would definitely like to work with her again. Janet did an excellent job. She has an eye for details and left the house sparkling! Her personality is lovely and a pleasure to work with! Thank you for doing such a great job!! You are very sweet and we appreciated your care for our home with your cleaning products! Rene does the absolute best work cleaning our home! I highly recommend him. You will not be disappointed!! Good Job, although I was surprised the microwave didn't get cleaned automatically as part of kitchen. Aurora is amazing, she works hard, pays attention to detail, and always has a smile on. We'll have her back again! Why use Handy for house cleaning in Houston? We don't expect for you to sit around and wait all day, the way regular cleaning companies make you do. Just pick a time and make an instant booking. 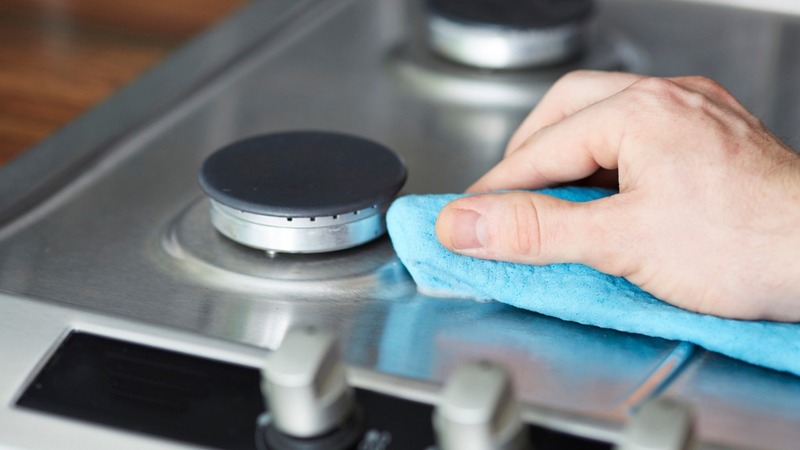 We'll connect you with a fully-equipped cleaning professional as soon as possible, often by the next day, depending on availability. If you need to change the time of your home cleaning, just let us know at least 24 hours ahead of the scheduled booking. If you’ve never hired a professional house cleaning company or housekeeping service before, look no further. All the home cleaning service providers in Houston on the Handy platform are vetted, so they’ll get your job done to the highest standards. Whether you need home cleaning every week or a deep house clean once a month, we can help you take control of your life. When you book house cleaning services in Houston and let your maid handle all the tedious tasks, just think of all the extra time you’ll have. Instead of mopping, vacuum cleaning or doing any other home cleaning tasks, you could be enjoying an extra hour in bed in the morning. Or you can free up more time to watch movies with your family, go to the gym, dine out, cook, or even work some overtime if you need to. Let your house cleaner take care of all those tedious chores so don’t have to. Choose Handy when you need a weekly home cleaning or even something less frequent. Search on our website or use the Handy app to find the best cleaners in Houston. Who can use Handy for booking home cleaning in Houston? Our home cleaning services in Chicago are for anyone who appreciates the value of a clean, well-organized home, no matter where you live in the Houston area. Maybe you live in an apartment in Montrose or Midtown and just can't find the time to do all your cleaning. Or perhaps you own a big family home in Memorial Park and need cheap home cleaning services to get everything tidy for a big party. If you live in Houston, Handy has got you covered. The melting pot of Texas, Houston is America's fourth biggest city by population. This is a place where residents like to make the most of their free time, hence the popularity of our home cleaning services in Houston. Did you know that the people of Houston eat out more than any other city in the country? With over 11,000 restaurants, this should come as no surprise. Imagine how much time you could be spending at your favorite Houston restaurants if you hired a professional house cleaning services company to do your home cleaning for you! Plus, Houston is one of America’s hottest cities, with average daytime highs near 95 degrees Fahrenheit in July and August. Clearly, in summer, the last thing you want to be doing is vacuuming and dusting your home when you should be relaxing by the pool or going shopping in a gloriously air conditioned mall. Achieving a good work-life balance is essential for your health, yet millions of Americans still struggle to find enough time for leisure and relaxation. That’s why it always pays to book a home cleaning service in Houston by hiring a top-rated Houston cleaner. When you choose to invest in house cleaning in Houston, you’ll have more time for long, slow walks in Memorial Park or family day trips to the Wet n' Wild Splashtown waterpark just outside the city. We pride ourselves on arranging the best house cleaning services in Houston, helping folks enjoy more free time. Book a professional home cleaning in Houston today!